**Book provided via NetGalley in exchange for an honest review. Continuing the story of bureaucromancer, and wanted man, Paul Tsabo, and his efforts to keep his daughter, the worlds youngest 'mancer, safe from non-magical people and the hive mind Unimancers. Aliyah is no longer the little girl she was. She's thirteen and in desperate need of socialization. When things go wrong, she ends up in the hands of the Unimancers, whom she discovers have some problems of their own. In Paul's search to rescue her, he loses much of himself. This world is completely fascinating to me. I love the idea that our greatest hobbies, the things we can lose ourselves in for hours, can become our form of magic (bibliomancers unite!). Seemingly useless skills like a knack with forms, kite flying and even rock balancing, can have magical traits that allow you to do some really interesting things. 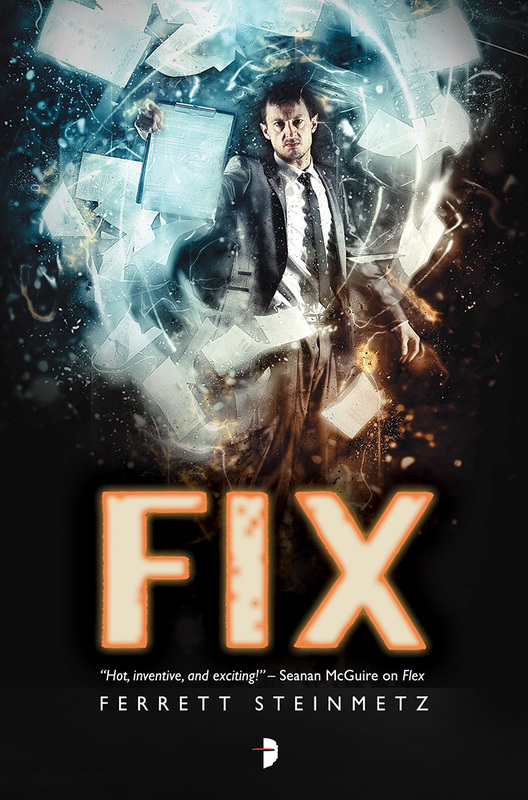 Unfortunately, magic comes at a cost, called flux, and it presents itself as serious bad luck. The more magic you use, the stronger the flux is, the more damage it can do. Your worst fears (like the death of a loved one) will come true. This was most evident in this world's history where, during World War II, reckless 'mancers attempted to win the war for Germany by unleashing all their magic, only to create a continental rift in reality that has never been closed. Of course, for me, a great world alone does not make for a great book. Fortunately Steinmetz complements this world with strong, interesting characters. Aliyah, the worlds youngest 'mancer, has always been strong willed, but in this book she really comes into her own. She finally finds what she needs to help her control her magic and, therefore, her flux. I truly appreciate how much character growth was put into this book, especially for Valentine, my favorite character. This book is a wonderful discourse on how both sides of an argument can both completely right and completely wrong at the same time. I kinda wish we had this sort of magic in the real world so both sides of arguments could see their own faults before passing judgement on those they feel have wronged them. Also, having a real-life donut test like Paul got put through would be a real time saver. Turns out the Vanilla Kreme is a sign of reckless rebellion. If you're interested in stories about magic in the real world, a father who'd give the world to save his daughter, video game magic, and restoring the world, this is a great series to pick up.